I finally got around to take some more photos of my first build. It's been about two weeks since it's birth and I made a few modifications to address some issues, as well as contributing to the aesthetics of the build . First, I really love the stealth look on PC's. Rjyapp's build with the stealthy/terminator look and brendan.such black on black approach helped influence the aesthetic decisions of my build. However, I wanted my build to remind me of JetFire and his ability to transform into the SR-71 Blackbird stealth recon plane. I wanted to look as if you were looking into JetFire's internals. So to achieve this look, I PlastiDip the mobo's thermal armor while taping off the glossy black areas to give some variation. Then I took the NZXT. logo, which included a red sheet glued to the back of the piece and PlastiDip the sheet. Now, it looks black when the led is off, but when the red led is on, it doesn't look very red like before. It has an iridescent look now (Photos 11/12), which adds to the stealth look. The Noctis case already has the design that references stealth planes to begin with. Added an autobot badge, which I PlastiDip the one that's inside of the case and left the other, glossy black. The first photo was taken when it was initially built, right after putting in the last part. The GPU sag bothered the heck out of me! To address this, I did a simple mod by going to Ruby Tuesdays and enjoyed a nice chicken dinner with some delicious pomegranate tea. Took the medium weight black straw and trimmed it. Then I wedged it underneath under a safe spot and now it sits there pretty planted (Photo 3). It looks great because it matches with the rest of the build. I built this computer to accommodate heavy photo editing as top priority, video editing second, and lastly gaming. Also, long lasting reliability is very important. I understand money equals to the quality of the parts, but I'm very budget conscious so I tried to look for good deals around the internet. CPU: I went with the hex core Intel 5820K which has a decent clock speed, plenty of cores for the photo/video editing apps to utilize, and enough lanes to attach just a smidgen of any extras in the future. 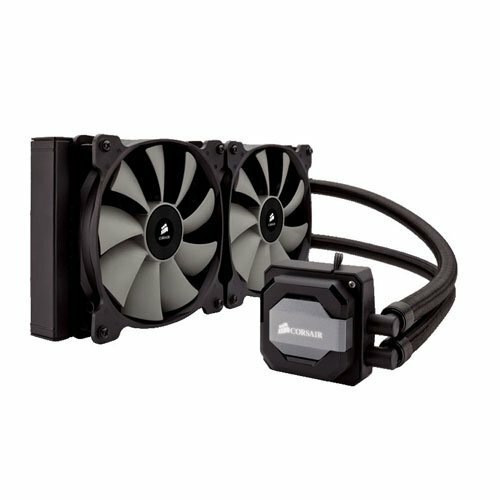 CPU COOLER: I was not familiar with a custom loop so I went with an AIO Corsair H110i GT. 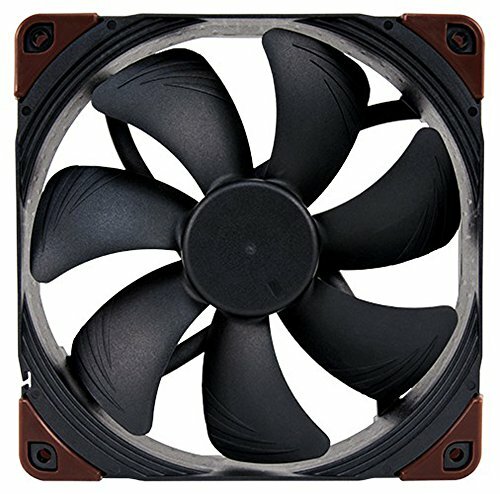 Heard great reviews and replace the stock fans with 140mm industrial Noctua's. FAN: I attached the Corsair radiator with a pair of 140mm NF-A14 Industrial fans. They can push air. The PWM switching is slightly a bother to me and that's the only thing I can hear from them. Pretty silent. MOTHERBOARD: Honestly, I chosen the Asus Sabretooth X99 because of the looks of this mobo. However, it's awesome that it has an M.2 slot which was important to me. RAM: 32 GB of ram is a lot. I could prolly get away with 16's, but I noticed sometimes I use 50% of my memory when I running my photo application. So 50 percent of 32 is 16 right? 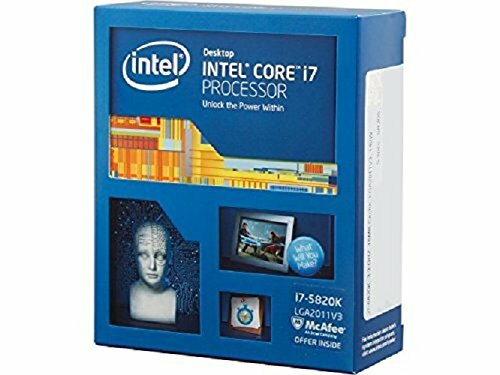 So is it best to run at 100%memory with 16's or 50% memory with 32's when I'm photo editing? I'm still debating on this one. 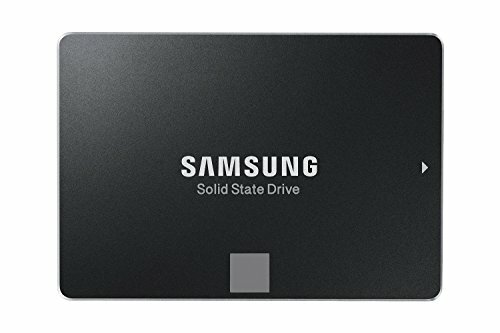 Samsung SM915 128GB M.2 SSD as my system and booth drive for major applications. It boots in under 14 seconds after POST. Loads my photo applications like it's no business. Thankfully, the mobo dedicates four lanes to the M.2 for full utilization of this drive. The Samsung Evo 850 1TB is used as my import drive of photo and videos. I will be doing the majority of my editing from this drive. I didn't want to use the M.2 SSD because constant reading and writing will cause the M.2 SSD to raise it's temps which will lead to throttling (at least from what I read). 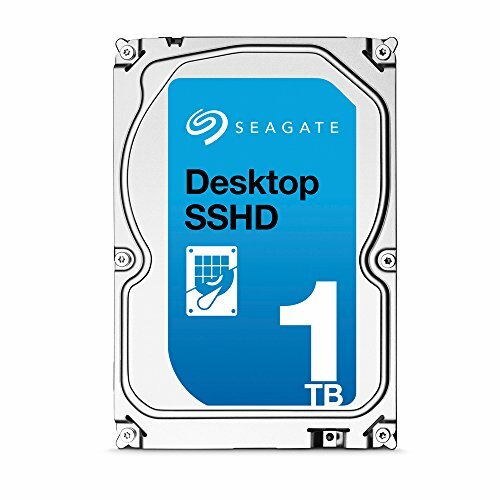 Bought the Seagate 1TB Hybrid because I wanted to put the least used programs on a different drive, while handling most of my exports. This will be the least used drive, so I figured a hybrid would do. It's a little noisy compared to the rest of my other drives when it's in use. GRAPHICS CARD: Went with the EVGA GTX980 FTW. I read earlier of it's debut, that it was plagued with failures, but since then EVGA corrected it. Luckily, I believe mine was one of the newer ones because I has zero problems since!! I don't really do much gaming, except for World of Warships. But I can use this card to render videos easily. POWER SUPPLY: The EVGA 850W Platinum is enough power to handle my setup and maybe one more GPU for SLI. I bought this particular one because of it's phenomenal ripple suppression and I got a great deal. MONITOR: I needed a monitor that's awesome for photo and video production. So I went with an IPS monitor for it's known color reproduction. The Dell U2515H is perfect. The colors are awesome and it's has a high enough refresh rate (60Hz) to do some comfortable gaming when I'm not doing work. Not to mention the input lag competes with some pretty good TN monitors. I really need help on lighting options. I'm still figuring this one out. What do you suggest?? I know you have a Transformer emblem on there, but this rig looks like something Batman would use! Awesome build! I know right!! I thought of the batmobile from the Dark Knight. Dude! I will definitely post some more photos and a description of how I made it look like it does now. Just been too busy to give my computer a photo shoot. Welp, you can finally check out the rest of the pics! Enjoy my friend! Hahaha! Thanks? There was a lot of planning involved, including my finances. I call FEATURED BUILD! Chop, Chop, PCP! This never being so is the worst crime ever commited on pcp! Even more regarding the last couple of builds being featured! I think this is my favorite build ever on this page! I guess they just pull somebody from the recent builds and I'm too late. But hey, I appreciate the love! I seriously would love to see it featured. Hey man love your build you inspired me to build a starscream build upon seeing your awesome rig. One question tho. How did you manage to get the H110i GT radiator to fit properly at the top of the noctis 450 CASE? I tried on mine and the darned USB hub is in the way blocking me from accessing screw holes. Omg!! I hope you will post your build after you are done because I would love to see the Starscream build!! Just make sure to give me a heads up when it's done lol Also, I'm glad that I inspired you. Thanks man! To answer your question I have the rad sitting on the bottom side of the bracket up top. It sounds like you have it sitting at the tippy top, above the bracket. I didn't try it your way. But beware, even my set up, I could only mount 3 or 4 of the screws to the case and it sits semi flush against the bracket. It had a weird dip. It's stable and secure though. just don't over torque the screws and you'll be fine! Hey man posted a couple of pics for now in the build I'll be posting more when I have it all fine tuned. Hey I'm really sorry for not getting back to your sooner! I do take full advantage of the m.2 drive. Just remember if you don't happen to go with this board, just make sure the other board has 4 lanes dedicated to the m.2. Otherwise you won't be utilizing the full benefit. Also, my particular drive is slower than the other models that has more storage space, so its not exactly as fast. Thanks! I saw a blacked out Sabretooth x99 somewhere and since I love the stealth look I had to make it like that. That looks great, can't wait for the description and more pics! I like the stealth fighter look it has going on. Hey friend! The rest of the description and pics are up! That looks freaking amazing man. The Autobot emblems look awesome too, they go so well with the build. I was so happy when the emblems came in!! I knew that was what I needed to finish it off. Thank you! They will be up soon! I just gotta find time to put my PC up for a photo shoot. Nice build! I like how clean the build looks. Maybe you can add more pictures in the build. Thanks! I will definitely put more photos up. I just gotta get some time this week to take some good shots. So clean, as if build in a decontamination chamber. Hahaha! I took that shot right after putting in the last part. Nope it's not just you lol It really is sagging the picture, but I fixed it already with something awesome that looks great with it. That was the one thing that really bothered me: sagging gpu's. I know right!!! I hated the sagging! But I fixed it with something awesome that looks 100 percent natural to the PC and it was sooo cheap to get. Looks great, grats on the first build! Thank you! Come back soon and check out the rest when I finally get everything up. Really tasty +1 Do feel a nice black back plate would really finish things off though.. Thanks man! I will show pics, but it definitely has a black back plate. Nothing too chrome-y in this build. I'm still debating on getting a backplate for my GPU. I kinda like the exposed PCB and luckily it's dark enough to go along with it. Thanks for the compliment. I posted more photos! Thanks! I wish it was PCB was black. I ended up covering it, which I included with the rest of the photos I posted. How did you go about fixing the GPU sag anywho? Oh nice that's fantastic, it's functional and if you have a cool refreshing beverage and really need a straw and your at your PC then BAM! problem solved. do the case LED still work? and does the window has many scratches? Hey! I'm sorry that I couldn't get back to you sooner! I just haven''t been on the PPP because of work. So you are the guy in that youtube channel???? Thanks for the compliment man! Hey thanks for the awesome compliments! That means a lot that I can be of some inspiration. I posted some photos of the NZXT LED's on with how it looks with my modification. I don't have photos of my process, but it's very simple. The reason why the stock logo looks red when the LED's is off is because they glued a red sheet on the back of the transparent logo. Just pop that off and paint it whatever color. So I checked out your parts list and I instantly saw the price tag! Damn! Such a big budget! I was just curious what do you intend on building it for? I have a feeling when 2017 comes around, there is some new tech that might affect your parts list lol! Hey thanks! What made me the first? The rest of the photos will definitely come soon, so I can finally be on the chopping block. Thanks! I finally posted more photos and updated the rest of the description. Thanks! Honestly, it is actually overkill lol That is a mistake. One thing I would have changed was to use 16's for RAM and used the rest of that money towards a 256GB M.2 SSD.